This is the original Ford GT40 Ken Miles drove first across the line at the 1966 24 Hours Of Le Mans. And it’s in front of the lens of Top Gear USA tonight. Oh yes. 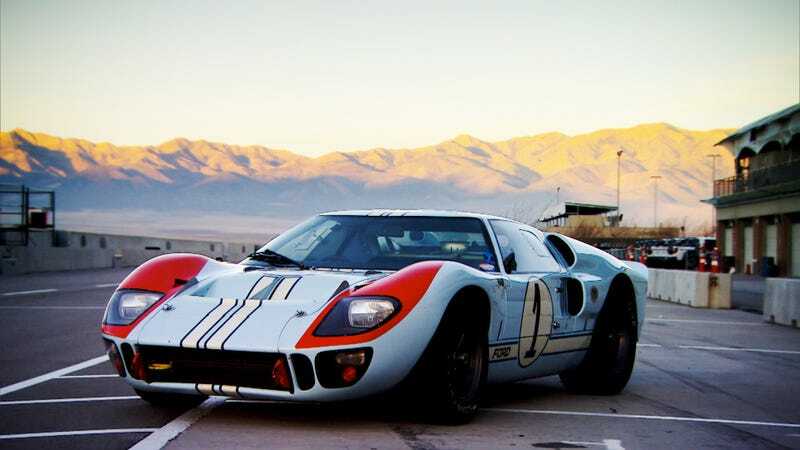 Excuse me as I drool, but tonight’s TG:USA has an original 1966 Ford GT40 Mk. II, the very car that was tragically robbed of victory at the 24 Hours of Le Mans with nearly-legendary driver Ken Miles at the wheel. I’m counting down the hours until I can hear the V8 in chassis P/1015. In any case, I’m excited. The episode is on tonight 9/8c as always. Learn yourself something about America’s greatest sports car racing triumphs in the mean time.